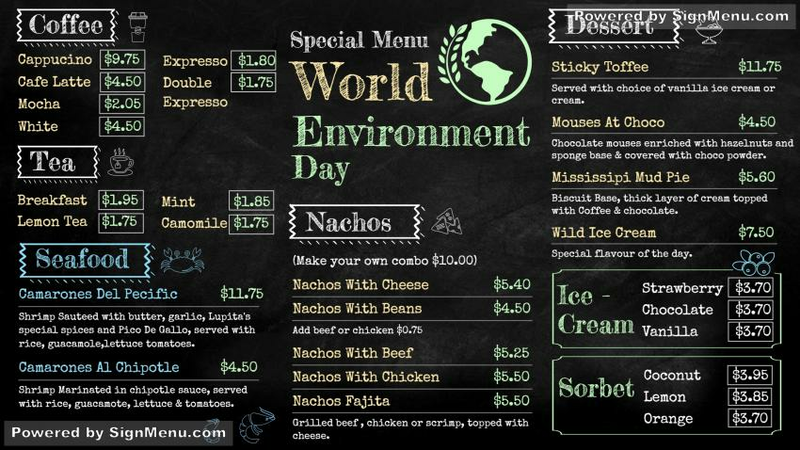 A unique World Environment Day menu ! The black background color provides the elegance while the white, yellow and blue typeface and lettering provide the styles. The menu matches the occasion : coffee, tea, seafood, nachos and ice creams. On a digital screen this menu board will certainly attract the target audience; footfalls will increase and so will the sales.